All female creators! Including: ENTER… SWAN SONG (featuring the Dark Duckling)Art: Donna Martinez Words: Lindsay Moore, NUTTIN’ BUT TROUBLE by Cathy Leamy, SUPER-HEROINE ADDICTION by Line O, MILLIE AND THE WIND by Aya Rothwell, A DELIVERY JOB by Alizée De Pin, THE FIRE VAMPIRE Art: Maria Photinakis Story: Lavinia Zelda Minkowsky, THE AMAZING JENNY by Catalina Rufin, CAPTAIN TOXIC SLUDGE GIRL by Mattie Glenhaber and CHIPPAH, THE BOSTON TERRIAH by Cara Bean. September 21! Art show reception! Boston Superheroes! MICE! In a Single Bound #3 release party! 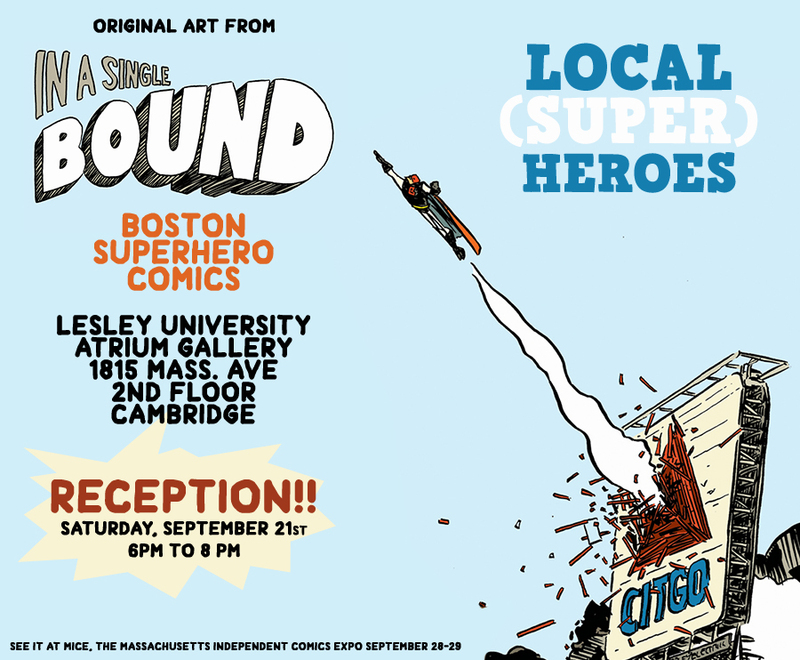 An exhibit of original comic art, from the Boston Comics Roundtable/Ninth Art Press anthology of Boston-based, indie-flavored superhero comics “In a Single Bound,” in the beautiful Atrium gallery at Lesley U.’s University Hall (the location of MICE). 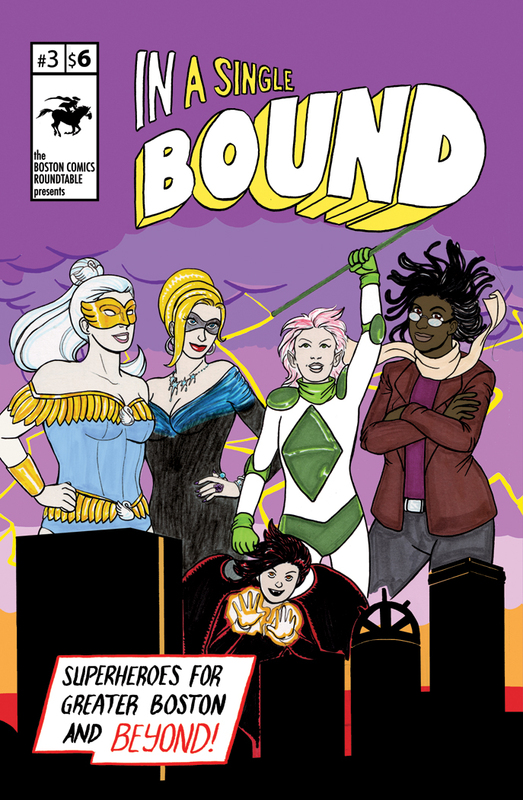 At the reception this Saturday (6-8 pm), we’ll also be celebrating the release of “In a Single Bound” #3, which features stories by all-female creators (or all stories by female creators, if that sounds better). Be there! There will be snacks. Coming real soon! In a Single Bound #3! 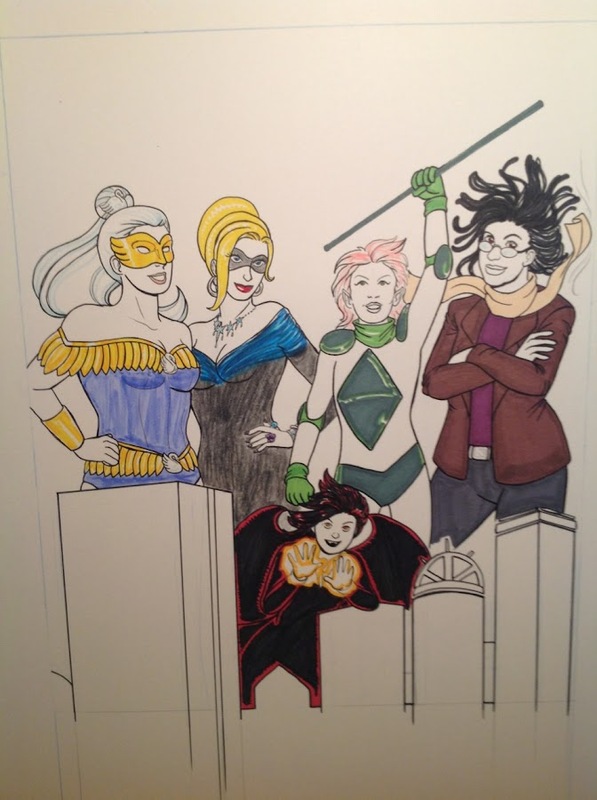 More Boston Superheroes! Cover by Donna Martinez! The return of the Dark Duckling! Plus eight more all-new, all-local adventures! This will be available at MICE, of course, but first of all at its own release party, which is also an art show reception! More on that coming soon….